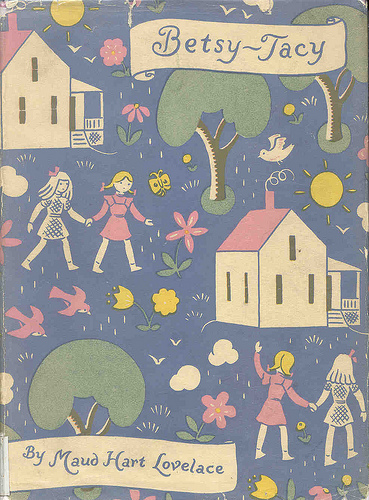 This is the dust jacket art for the first edition of Betsy-Tacy, 1940. The illustrator is Lois Lenski. 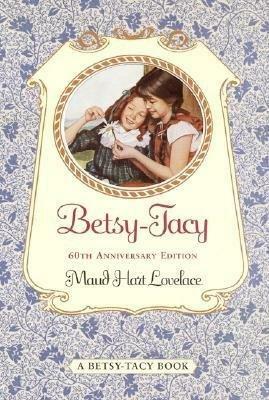 Betsy-Tacy was reissued in 1993 by HarperCollins in response to a letter-writing campaign by members of the Betsy-Tacy Society. This is the hardcover version and there was a paperback version. 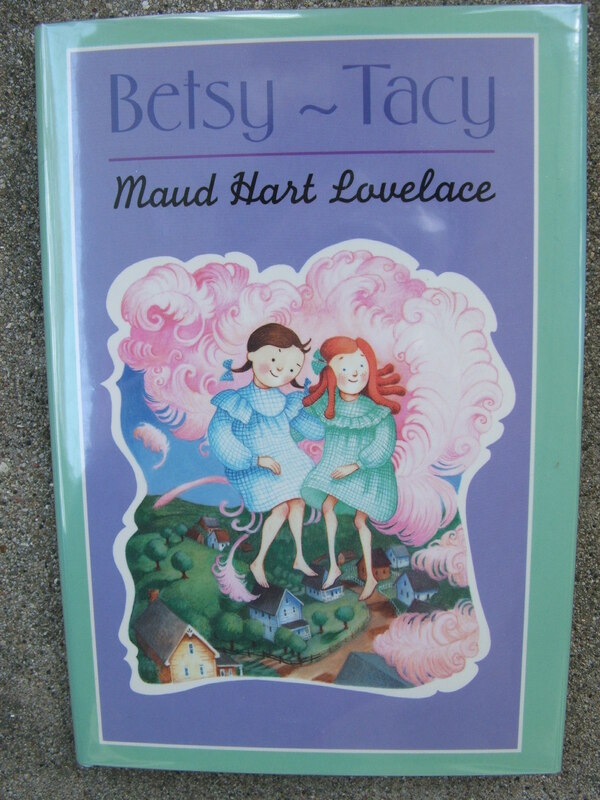 The cover art is by Diane Goode; the Lenski illustrations were retained inside. This is a library binding version of the 1993 reissue. The cover art is by Diane Goode but the Lenski illustrations are retained inside. 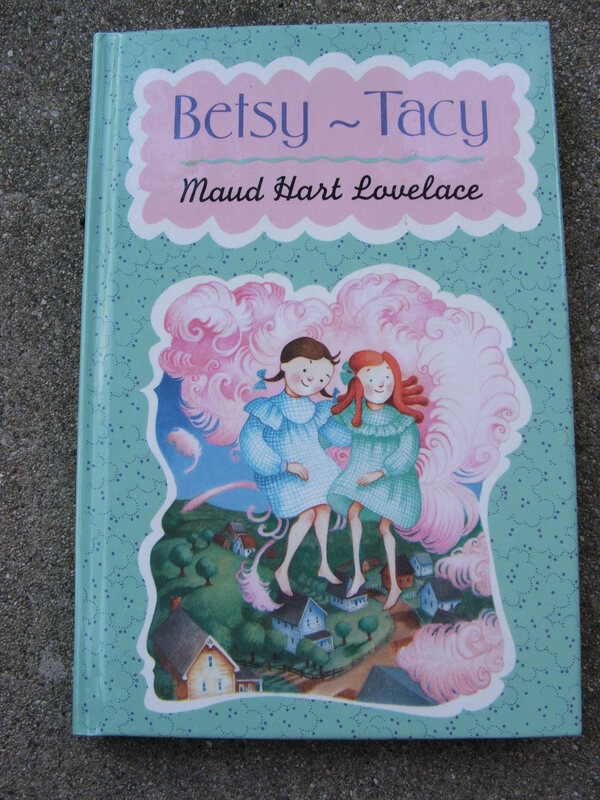 The last picture is of the most recent reissue of Betsy-Tacy, a paperback with a keyhole cover, and it is still in print. The inside illustrations are the original ones by Lenski.